If you still think that Snapchat is a social media app for youths to send and receive racy selfies, you’ve got some catching up to do! 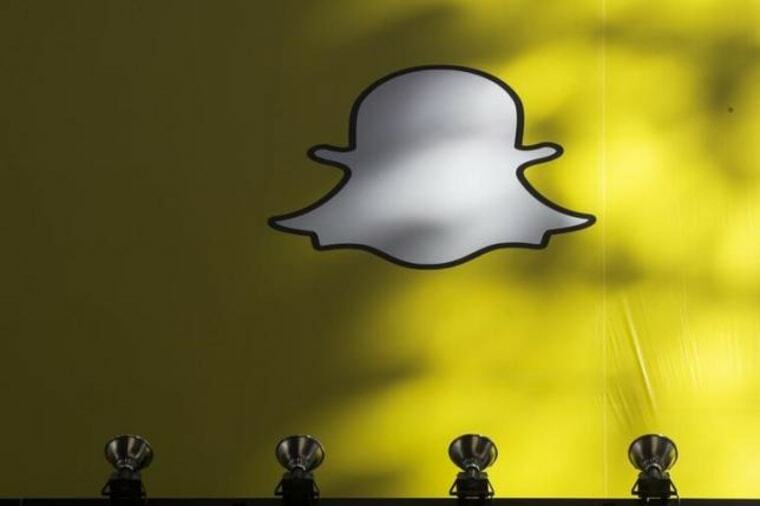 Snapchat has quickly evolved from a messaging app used mostly by teens to a powerful storytelling platform that enables anyone to broadcast short videos and photos (known as “snaps”) that are linked together to form a story. Who can see that story is up to you. You can set your story settings to public, friends only or private, your choice. Your story will only stay up for 24 hours, or less, if you choose to delete it. The point of this is to make it more like real life, where interactions are transient. You can also allow your viewers to send you “snaps” and chat with them. Because everything that is posted to Snapchat has a short lifespan, people are more compelled to watch other Snappers’ stories. And because of the transient nature of the platform, those using it to share their own stories, tutorials, news and other bits and pieces of life are more natural and spontaneous than they might be on apps that archive the content like Instagram and Vine. Don’t want your story to be lost forever? You can also download it to your smartphone at the end of each day and keep it for posterity or post it on Instagram, Youtube or even Facebook. Only want to keep one or two photos? You can download them too, either before or after you decorate them with Snapchat’s cool features such as doodling on the screen, or using one of their custom filters or geotagged skins. The nature of Snapchat’s platform doesn’t allow to see a list of users, but you can download another app, Ghostcodes, which enables you to discover Snappers to follow based on common interests. If you want to be discovered by other users, you can create a profile on Ghostcodes too. Through the Discover feature, you can also follow news and other online publications. You may even follow NBCLatino on Snapchat! But that’s not all. You can also follow events that create live stories, under the “Live” header. And finally, you may contribute snaps to public stories related to a city or an event, which is also a fun way to be discovered by other users. We interviewed six Latinos who are regularly on Snapchat to help you make the decision of whether to jump on this trendy social media app or not. These Snappers are of all ages, genders and occupations. Their common thread is that they all Snap in English and offer some sort of learning experience for their followers. They are listed in order of age, so you can see it’s definitely not a platform just for kids! Naturally there are many many more Snappers that are worth following too! She believes people should join Snapchat to journal life and also to connect with their clients or audience. “You can save your snap stories at the end of the day and keep them to use in your business or to gather and give to your kids as a memento of your life. Snapchat captures life as it happens! As an entrepreneur and author, I feel it shows people all my projects behind-the-scenes before they are unleashed on my blog or on store shelves! Some of her favorite snappers: Eddie G! (OMGitsEddieGee on Snapchat) , Eva Longoria (realevalongoria), ShaunAyala, David Lopez (davidandtea), and AmberAziza. Dariana got started on Snapchat because her sister and business partner (darielacruz on Snapchat) insisted. Since this is a platform where it wasn’t so easy to find people to follow until Ghostcodes made an appearance, she followed only a handful of people. “I connect better with people in this format, I prefer video over writing as a means for storytelling or content sharing. I also love how intimate it is, I feel a sense of security when I share on Snapchat,” Dariana says. She started sharing bits of her day but as she realized that she preferred to watch Snapchat stories where people were teaching, inspiring or motivating others, she followed suit. “It felt like I was a fly on the wall watching and artists I admired show how they go about their creative process, or watching how an entrepreneur prepares for a webinar, seeing how long they work at finishing an ebook, or watching someone cook something in a way I would never have thought of,” she recalls. Dariana shares her journey of self-improvement, productivity and also how she makes her art. From her creative process to managing a business, and how she leads a healthy lifestyle. She also posts inspiring quotes and styling tips pertaining to Instagram. Laura joined Snapchat in December of 2015. Through her healthy meals for kids business and her blog, Laura has build an online community of over 85,000 members. She wanted to give them the opportunity to interact with her on a daily basis, offer them a behind the scenes look her life as it happens, and build stronger relationships. She began by using just the photo function to share glimpses of things she liked or was doing. Now she shares insights and answers people’s questions both on her story and via message, and cooks a "secret" recipe with them once a week that they can't get anywhere else. She involves her followers in everything she is doing, from being a mom to her daily life as an entrepreneur. “One of the greatest testaments that people were interested in what it's like to run a successful business, travel constantly, have kids, and keep it together was when I recently went on the road for five weeks and I took my Snapchat community with me on my travels and media tour,” Laura says. Those following her on Snapchat will learn life hacks, kitchen hacks, cooking tips and recipes, and most importantly, honest insight to what is like to juggle it all. Eddie Garcia, better known as "Eddie G!" Internet personality who creates videos and loves tacos. 34 years old, based in Los Angeles. Eddie G! was an early adopter of Snapchat. He started on the platform in 2012 when his younger cousins told him about it. As Eddie shares, Snapchat started off as a simple way that people could send pictures (“snaps”) or texts (“chats”) that would disappear once the recipient viewed or opened them. He credits the ‘self-destructing’ nature of snaps to people being more comfortable sharing more intimately than on other social media platforms, such as Instagram or Facebook. Eddie recalls how in late 2013, Snapchat rolled out a feature called “Snapchat Stories”, which allowed users and content creators like him to post “snaps” that all their followers could watch. These stories had, and still have, a life of only 24 hours. For Eddie, this was life-changing. “For those of us who are content creators, it gave us a platform to string together snaps that tell a story,” Eddie says. As a Youtuber used to shooting and editing video that stays online for as long as he likes, Eddie had to think of a different strategy for Snapchat. “This year, I think I've finally developed a style that is pretty unique, despite it being extremely easy to replicate. I primarily use photos to tell a story, with a layer of imagination added on top. A recurring character in some of my stories is an “Imaginary Stick Figure Man” who is very inquisitive and stubborn. Eddie mainly follows friends and family on Snapchat! But he also mentioned CraftyChica and MayaintheMoment as favorites. Shaun, winner of a Tecla award for best Snapchat storyteller at Hispanicize event in March of 2016, first downloaded the Snapchat app in late 2014 when he heard Gary Vaynerchuk (GaryVee), a business entrepreneur and social media expert, discuss Snapchat and how important it would become. “I downloaded the app and honestly, I hated it! It was confusing, and hard to understand. It wasn't my normal social media platform. I was just so used to they way the others functioned, and I gave up on it quickly,” Shaun says. Shaun continued listening to GaryVee’s social media tips and when he found there were tools like doodling on the photos and other features available to users, he changed his mind about Snapchat. By following Shaun on Snapchat, people will learn a lot about how to creatively use this platform. His favorite storytellers on Snapchat: Shonduras, JoseResendez, CyreneQ. Amanda first opened a Snapchat account in 2014 when it really just seemed like an instant messaging platform for teens. She really didn't become active on the platform until about a year ago when her friend Jose Resendez (JoseResendez on Snapchat) showed her how it could be a tool for more public updates, and challenged her use it to promote her Latino entertainment platform, LasGringasBlog and interact with her readers. She started out using it more like a private messaging app. Like most of the other Snappers, she initially shared bits of her life, and then took the leap to promoting her Snapchat profile on her other social media platforms. “Once I started seeing growth in my audience, I definitely felt more "on the hook" to consistently produce stories for them. I now tell stories looking directly into the camera. It's funny how people take time to warm up to Snapchat and build up the confidence to flip that camera around to selfie mode!” Amanda shares. Amanda believes that anyone, Latino or not, should join Snapchat because it represents the "new" age of social media that is less produced and less edited.